Young and old, beginners and professionals, musicians, producers and dj's. We are the address for everyone who makes their own music. Experience music, your music. 18 music stores, always close by. 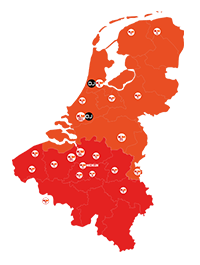 KEYMUSIC has 18 music stores in Belgium and the Netherlands. This means there is always one nearby. Our stores are centrally located and easily accessible by car and public transport. Experience our stores. Get inspired. KEYMUSIC music stores are an experience for both young and old. A visit to our stores is fun, exciting and always surprising. Please visit us and let yourself be inspired. Professional advice and personal service. We are proud of the knowledge and experience of our specialists. Our people will give you personal advice and are always ready to help. We hope to be able to continue to be of assistance. Extensive selection and unique collection. KEYMUSIC has the largest selection of guitars, drums, microphones, percussion, keyboards, dj-gear, studio gear, sound equipment and accessories in the Benelux. All top makes are available, but we also offer more exclusive products. Try and compare. Music is something you have to feel. Nothing is more fun than trying products out yourself and being able to compare them in our stores. That’s the only way you can be sure that you are taking the right product home with you. Each guitar is unique, each microphone sounds different. It’s all about the right feeling. Always the best price. At KEYMUSIC you will never pay too much, thanks to our lowest price guarantee. We check the prices of our competitors throughout Europe every day and adjust our prices where necessary. Thanks to our ability to purchase at a discount, we can guarantee keen prices. You profit from this as customer. See our rules. If you have placed an order, it is good to know that you will be given the time to assess whether the product really is what you wished for. We allow you 30 days to decide whether you have made the right choice. See our rules. We are convinced of the quality of the products we offer. For this reason we are giving a two-year guarantee on all purchases from January 2014 onwards. Furthermore, on a lot of products we even give 5 or 10 year guarantees. See our rules. Collect or return your order at the store. With KEYMUSIC you can order online and collect conveniently from a store. If you are not happy with your purchase, then it is good to know that you can always visit a store in your area. Orders of goods which are in stock in our central warehouse are dispatched as soon as payment is received. You can even order up to 8 PM and you will receive your order the following day (*Netherlands only). Products that are in stock in one of our stores or at other warehouses are delivered within a few days. Free shipping from 50 euro. 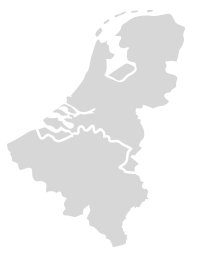 Deliveries within the Netherlands are free for orders above 50 euros. If you choose to collect from one of our stores then there are never extra costs involved. Each KEYMUSIC store has its own local delivery and installation service for pianos. If you order a digital piano, we will come and personally deliver and install it at no extra cost. In our stores and on our website you can always pay securely and easily. Pay wherever and whenever you wish by cash, bank card, credit card, online banking, bank transfer, or via various online payment methods, including PayPal. In our shops you can request deferred payment for amounts above 500 euros. When approved you can take the product home with you immediately. Ask for the conditions in the store. Customised service for corporate customers. We offer a number of customised services for our corporate customers. From advice and installation to ordering and payment, extra discount and invoicing without VAT. We have an experienced and professional team available for companies, institutions, schools and professionals.